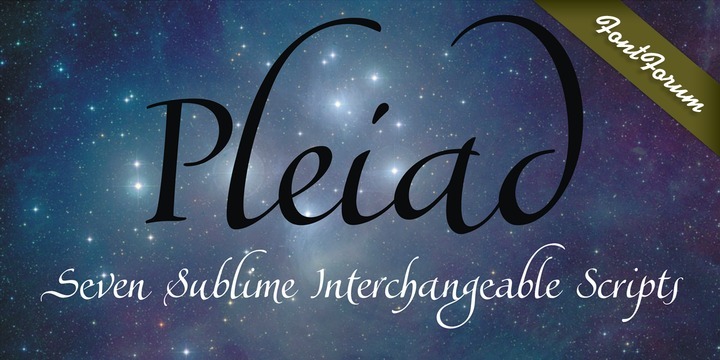 Pleiad is a calligraphic typeface created by João Henrique Lopes and published by URW++ that is available in 7 marvelous script. It can be used individually but combined can create great things. Let your imagination flay and use Pleiad for elegant projects, invitation, wedding, magazine, book etc. A font description published on Monday, May 4th, 2015 in Fonts, João Henrique Lopes, URW++ by Alexandra that has 3,347 views.